Dave Marock, as an expert in Bioremediation, has project managed many large sites requiring restoration and rehabilitation. Utilising a patented product, (our contractual supplier has a PhD in Biotechnology), enables SHEQPlus™ to provide a turnkey service with selected partners. BioCarb and FungiCarb are Bioremediation products that allow white rot fungi to establish in toxic environments, thereby allowing the successful use of these selected organisms to initiate the first step in Bioremediation. The fungus, or selection of fungi, is encapsulated in a pellet that provides optimum growth conditions for these fungi that simultaneously prevents predation and competition from other organisms. 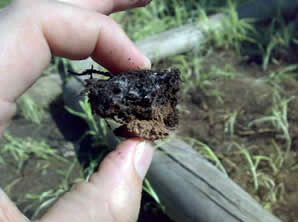 Once introduced into the soil, the fungal pellet is activated which allows the fungus to successfully propagate its mycelia away from the original pellet in search of a new food source, while continuously releasing the ligninolytic enzymes from the growing mycelia in order to detoxify the new hostile environment. Through this patented technology SHEQPlus™ can specify the selected fungal strains prior to manufacture of the fungal pellets. The composition of these fungal pellets can be adjusted to contain selected nutrients and specific fungi to suit site specific requirements. This ensures the development of an effective and economical fungal product that has been engineered to maintain viability during transport and application. SHEQPlus™, via fungal Bioremediation, can successfully treat soils contaminated by toxic chemicals emanating from industrial, military and farming activities. Chemical pollution of soil with toxic compounds such as polycyclic aromatic hydrocarbons (PAH), pentachlorophenols (PCP), polychlorinated biphenyls (PCB), 1,1,1-trichloro-2,2-bis(4-chlorophenyl)ethane (DDT), benzene, toluene, ethylbenzene, and xylene (BTEX), and trinitrotoluene (TNT) are persistent in the environment and are known to have carcinogenic and/or mutanogenic effects. 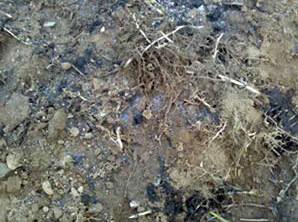 Currently used techniques for remediating polluted soils include the physicochemical methods such as removal of volatile materials by vacuum extraction, soil rinsing with organic solvents and incineration of contaminated soil. These physicochemical methods may be prohibitively expensive due to the relatively large volumes of contaminated soil usually involved. Bioremediation is an alternative approach where a biological organism is used for converting the chemical pollutant to less toxic or non-toxic compounds. Biodegradation of chemical pollutants often depend on indigenous and/or augmented micro-organisms (such as bacteria and fungi) to utilise the organ pollutants as food source. 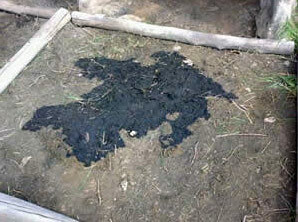 An important factor limiting the efficiency of Bioremediation is the tendency for micro-organisms to loose viability after being introduced to the remediation site due to various reasons including competition with other organisms for nutrients, predation by other organisms, unfavourable growth conditions and the presence of toxic chemicals which are inhibiting microbial growth. Most research in Bioremediation focused on the use of bacteria, with fungal remediation attracting interest just within the past three decades. White rot fungi has the unique ability to withstand toxic levels of most organopollutants. White rot fungi is a physiological group of filamentous fungi that can degrade lignin and lignin-like substances. These fungi rely on a mechanism of biodegradation based on extracellular ligninolytic enzymes that are not substrate specific thereby allowing degradation of many toxic organopollutants that are structurally similar to lignin. These extracellular enzymes allow fungi access to toxic substances that are often not accessible by intracellular processes, the latter being utilised by most bacteria. The fungal enzymes catalyse the degradation of toxic chemicals by using a non-specific free radical mechanism that often results in the opening of the aromatic ring structure allowing other more common organisms to mineralise these non-toxic by-products to CO 2 and other benign compounds. Commercial success in utilising white rot fungi in Bioremediation has been limited mainly due to the difficulty of introducing these fungi to a contaminated area in a manner that enables them to survive and propagate. In order to overcome these obstacles it is very important to understand the mechanisms that white rot fungi rely on for survival and growth in natural environments. In a contractual alliance we have, with our supplier, developed an improved product that allows white rot fungi to establish in toxic environments and thereby allowing the successful use of these selected organisms to initiate the first step in Bioremediation. 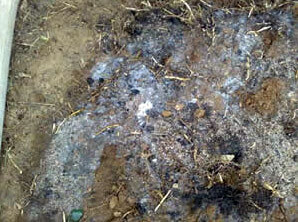 Day 1: Spillage with crude oil followed by inoculation with fungal product. 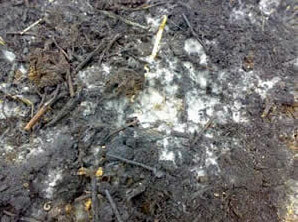 Day 9: Fungal pellet (white spot) overgrown with Fungal Mycelia, which is the first stage of fungal establishment. Day 14: Fungal Mycelia successfully propagated into the surrounding polluted soil in search of a new food source, which is the second stage of fungal establishment. 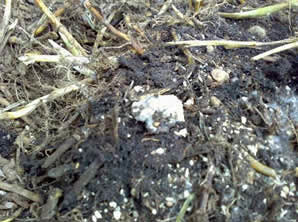 Day 35: Fungal Mycelia successfully covered the polluted site resulting in almost complete remediation of the polluted soil – note the original fungal pellet (white spot) is still covered with viable fungal mycelia. Day 49: Fungal Mycelia only present at the remaining polluted areas indicating the final phase of Bioremediation.